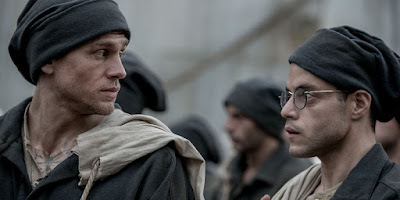 Per my yearly routine I have been avoiding any and all news about the Toronto Film Fest because I am not going so I don't want to know, dammit, and so I did not know the remake of Papillon with Charlie Hunnam and Rami Malek (in the Steve McQueen and Dustin Hoffman roles) was screening there. Not until today when these, the first pictures from it, were dropped (via, thanks Mac) anyway. 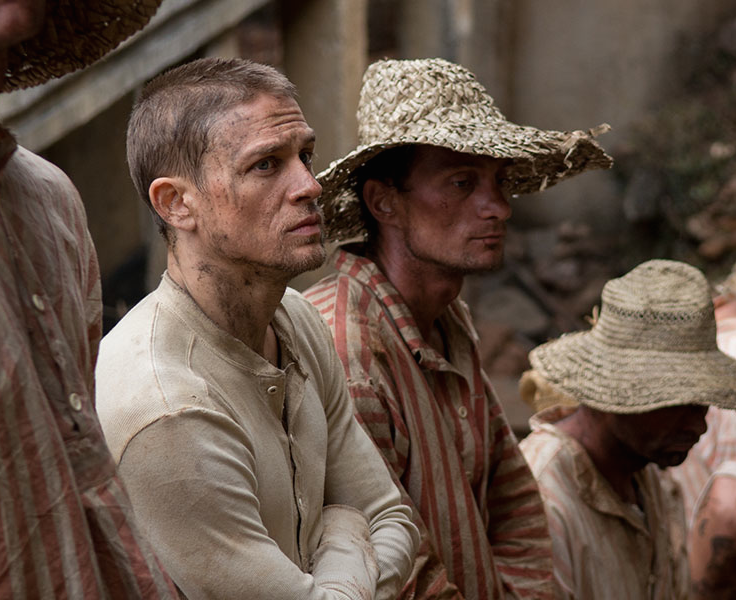 They all look so hungry and dirty. Eat something and take a bath, guys!